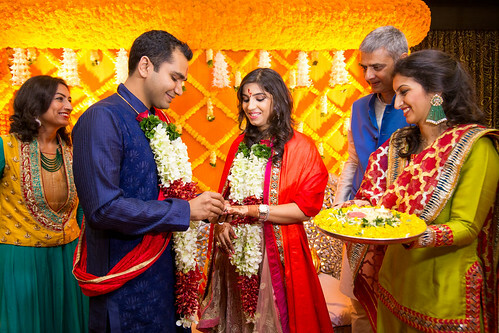 Wedding is a celebration that brings together the dearest of one’s relations with a reason to rejoice the new bond between two people. 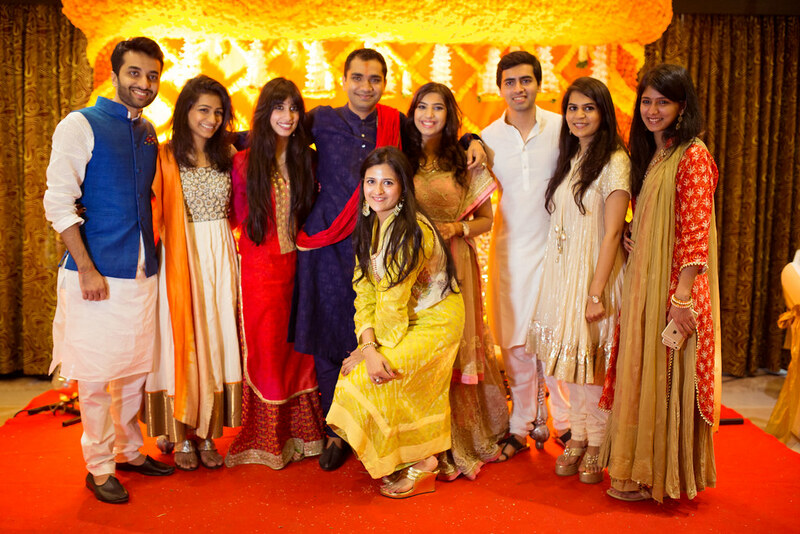 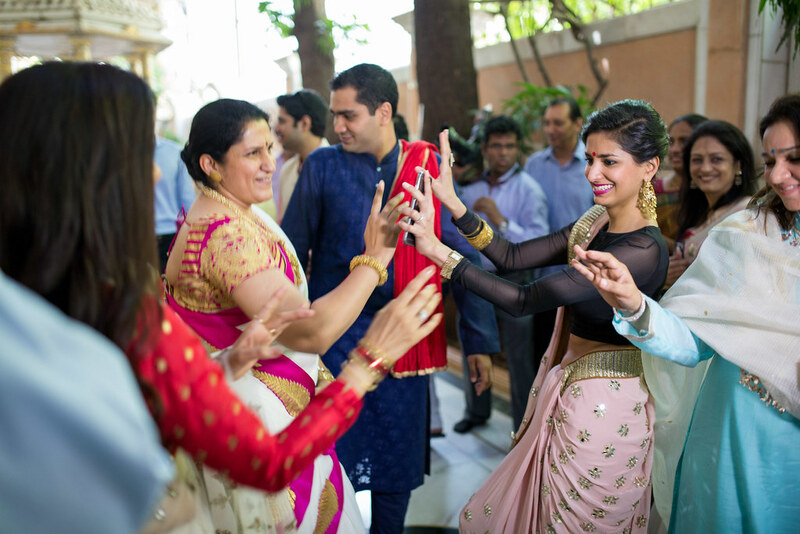 In the Indian culture these reasons are multiplied by having several facets to them. Engagement being the smaller promise to commit with each other for a lifetime, is the first of the many days of excitement to wedding. Photographing an engagement, which is more personal, has its own charm. Especially when the family is known and the environment is so humble. 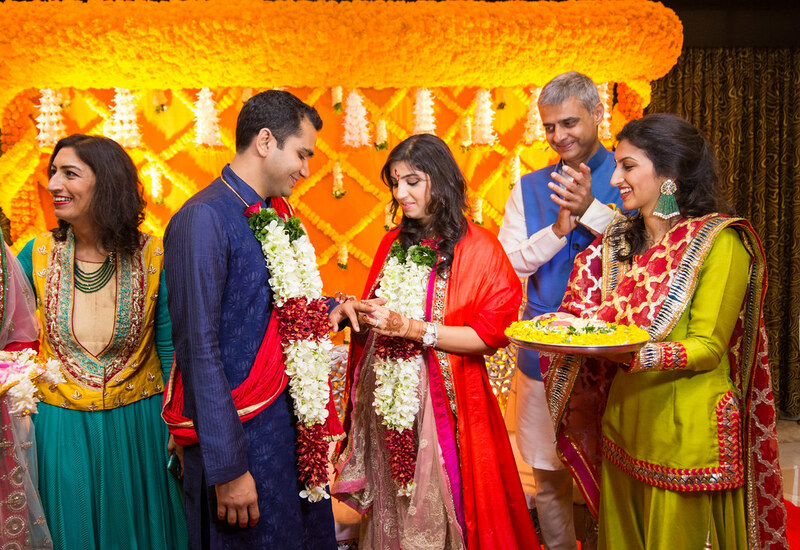 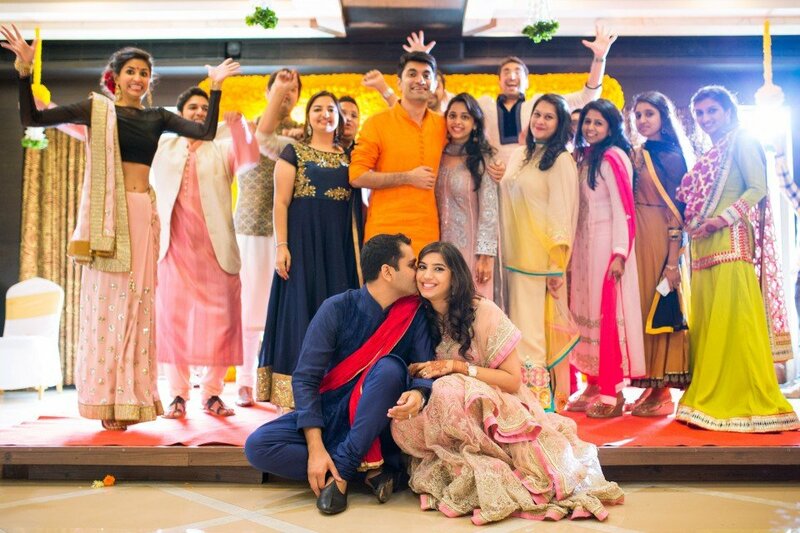 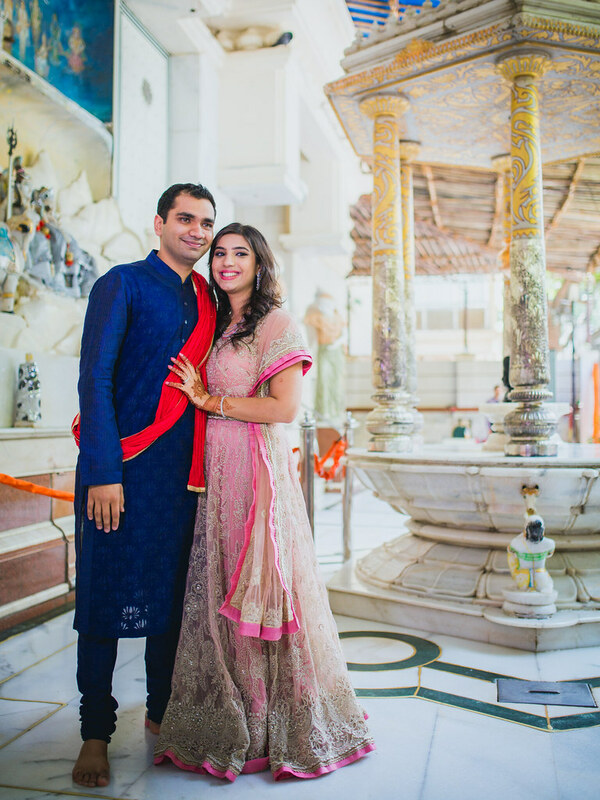 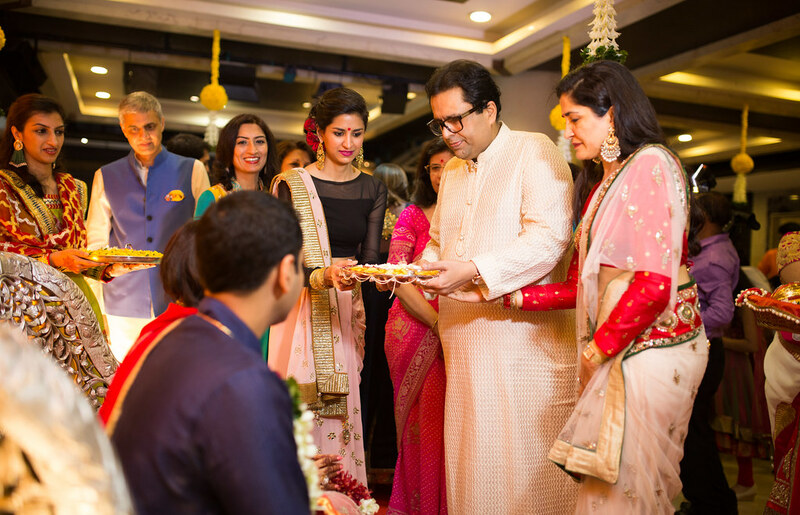 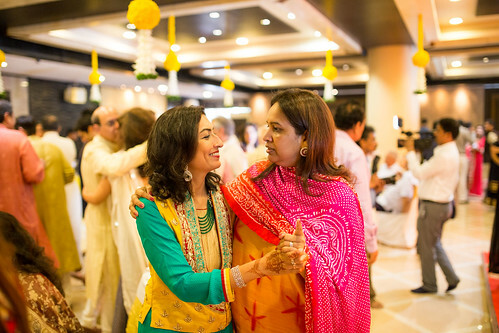 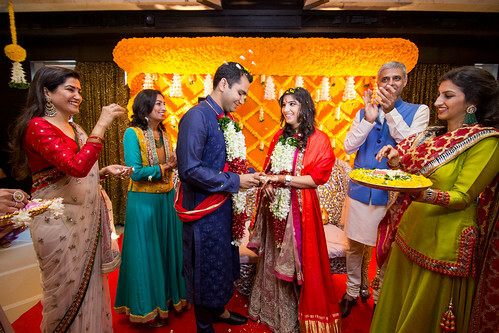 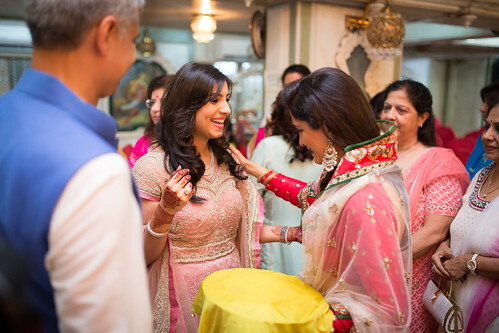 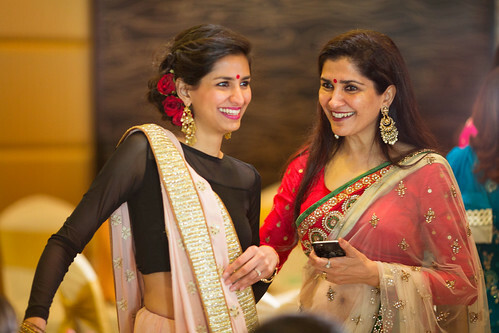 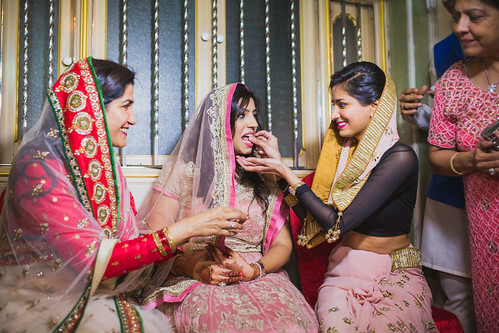 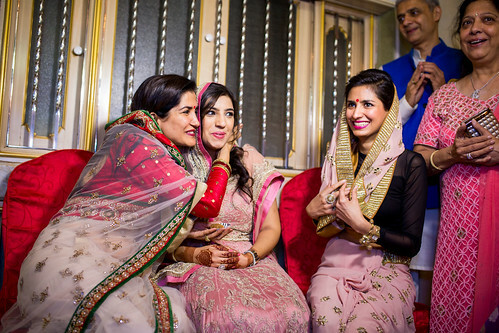 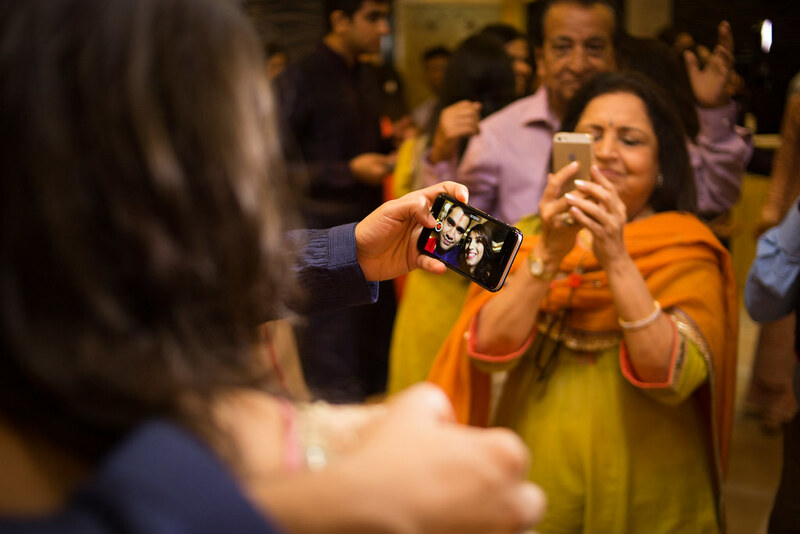 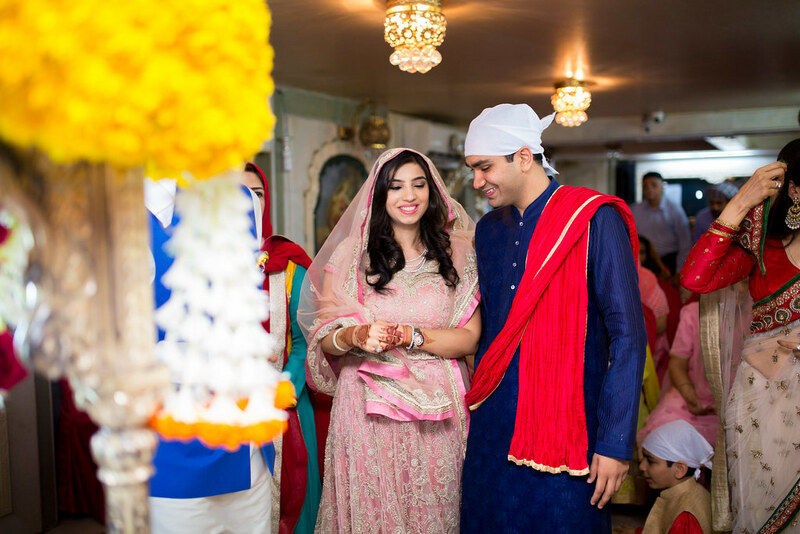 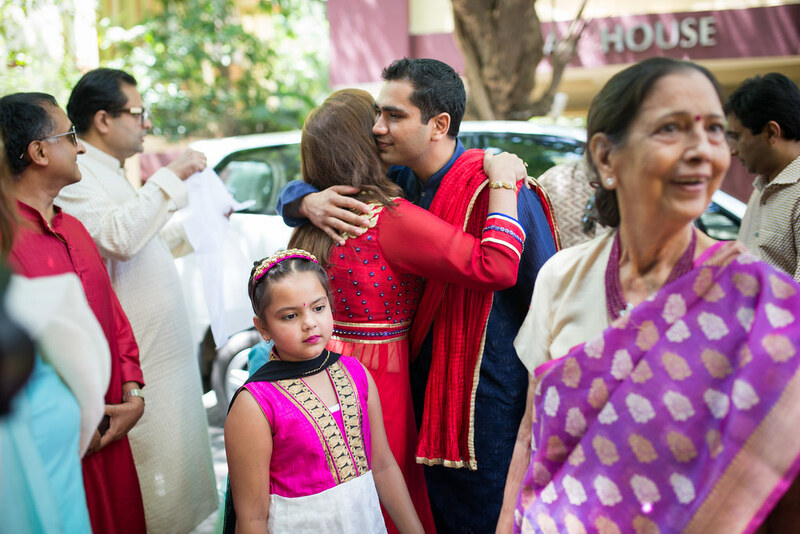 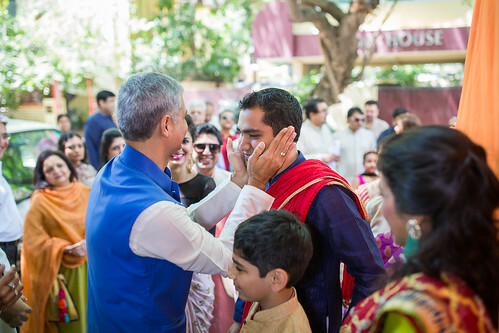 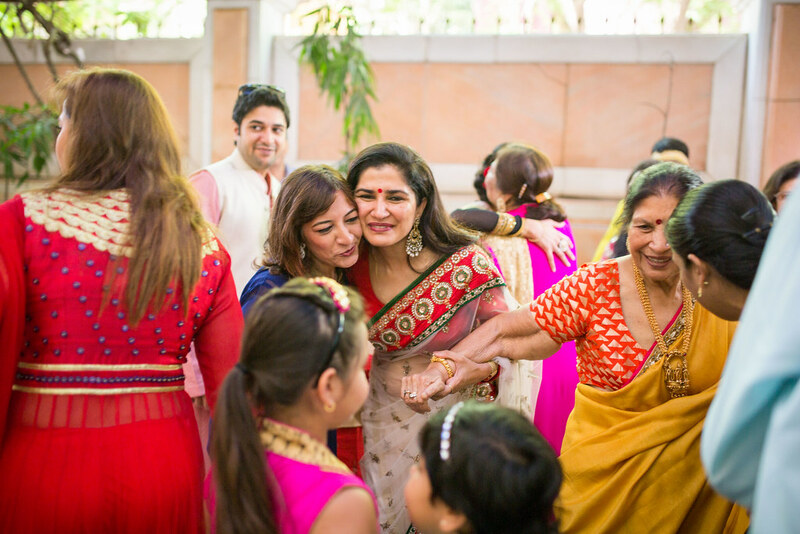 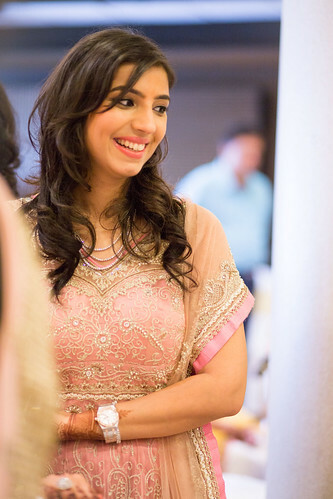 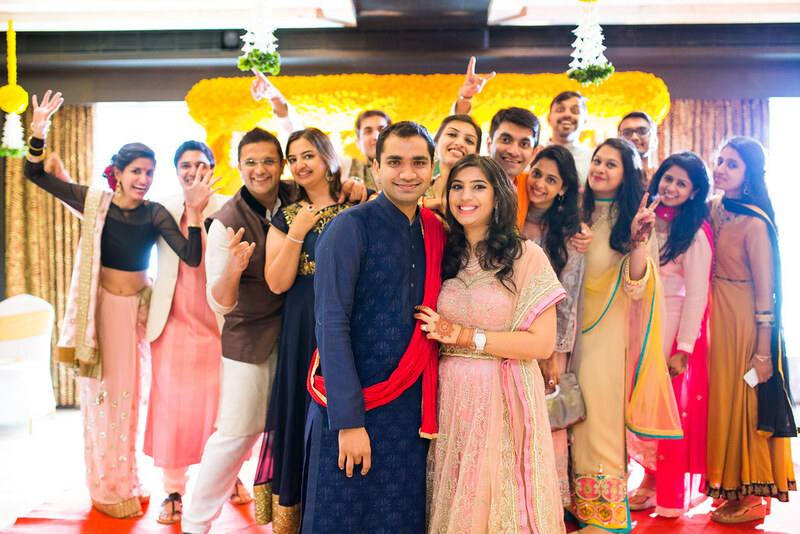 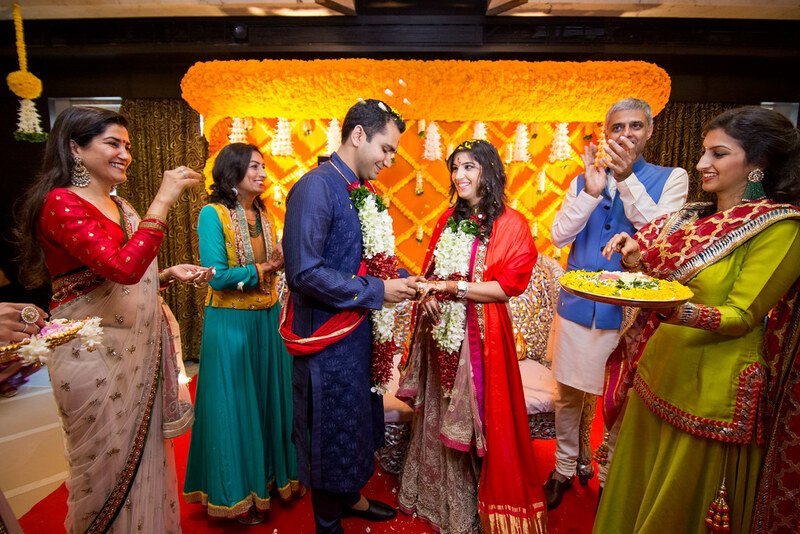 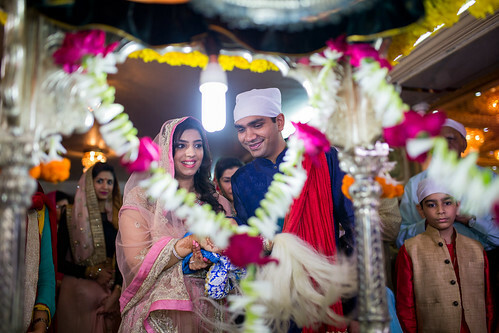 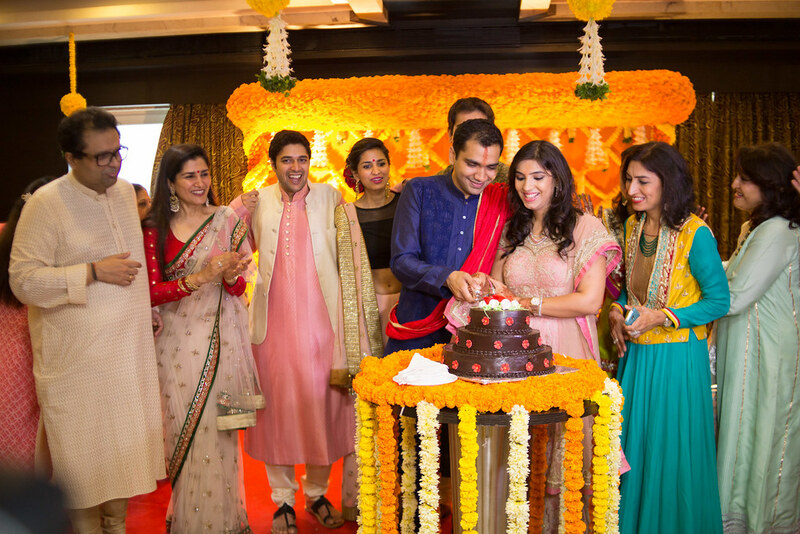 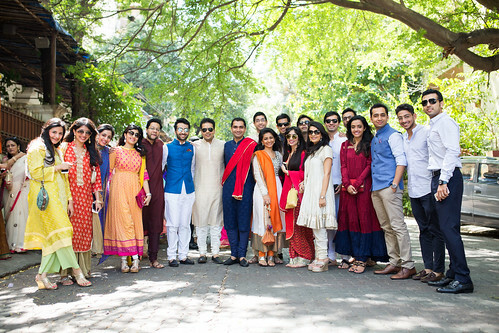 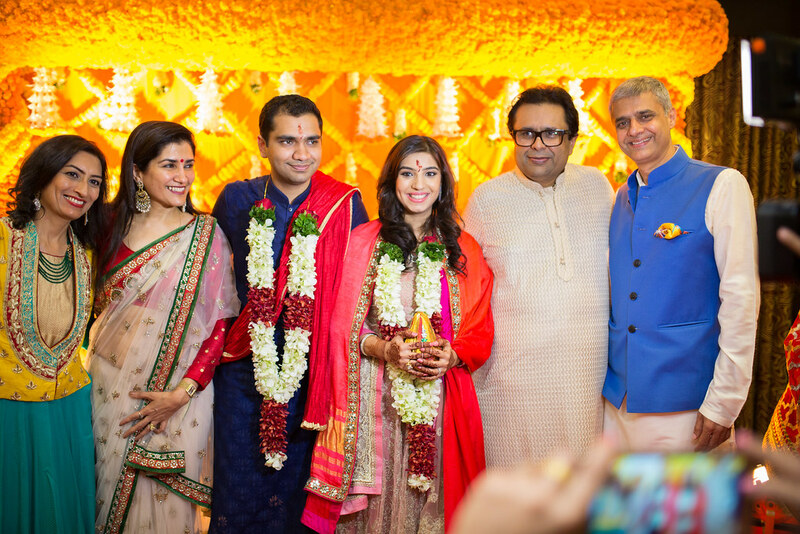 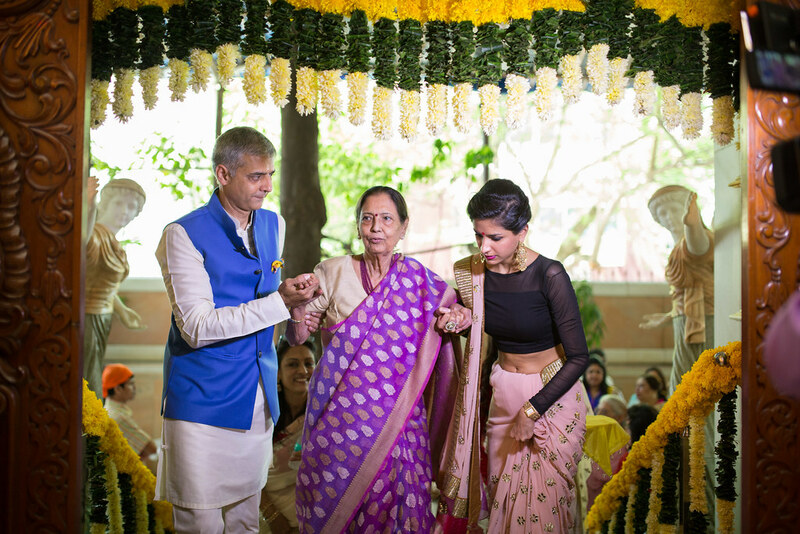 After shooting Nishita’s Tulsi Vivaah it was more exciting to photograph his brother Saahil’s engagement with the gorgeous to-be bride, Shivani. 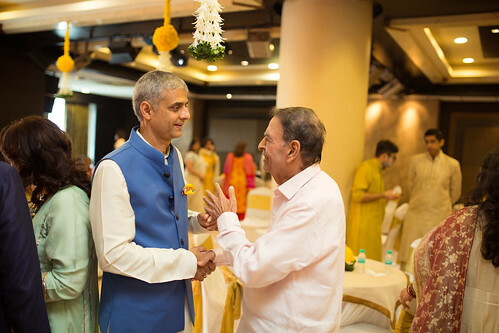 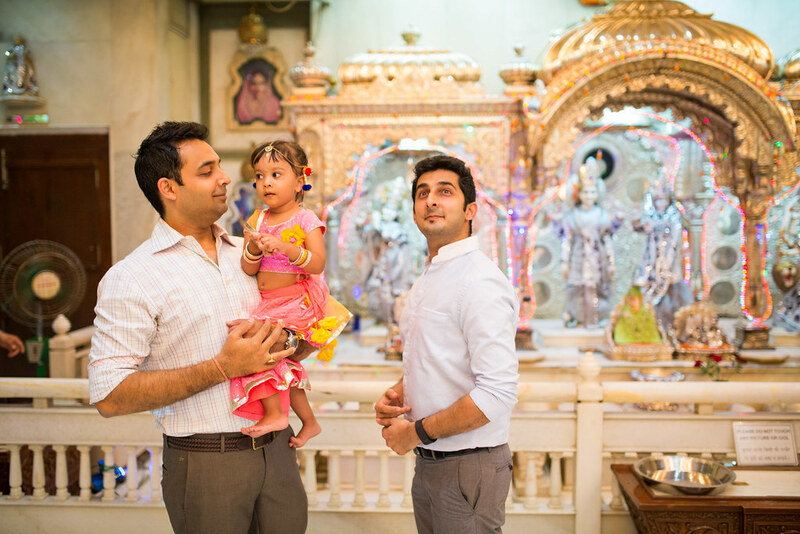 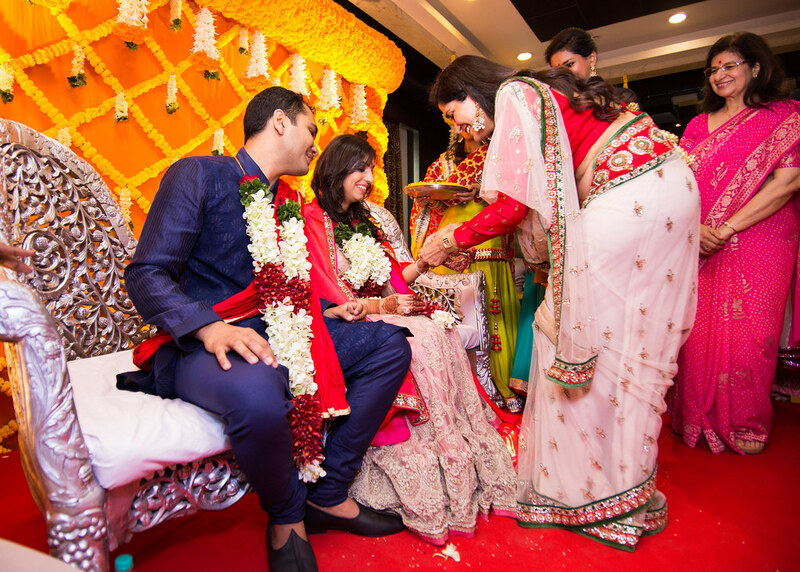 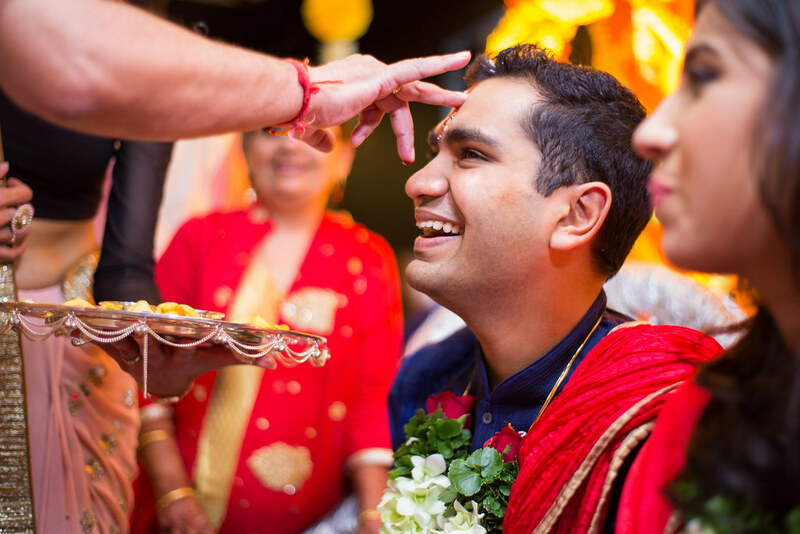 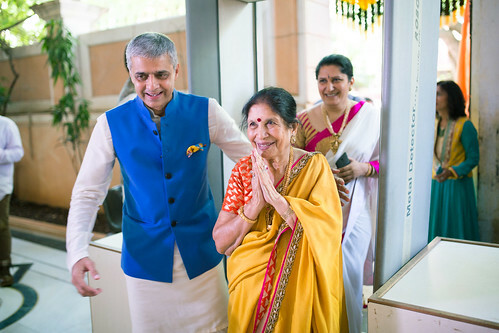 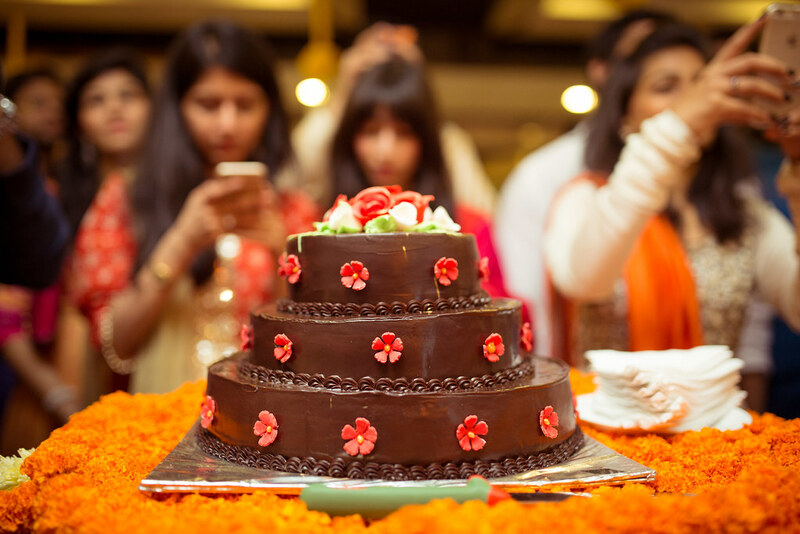 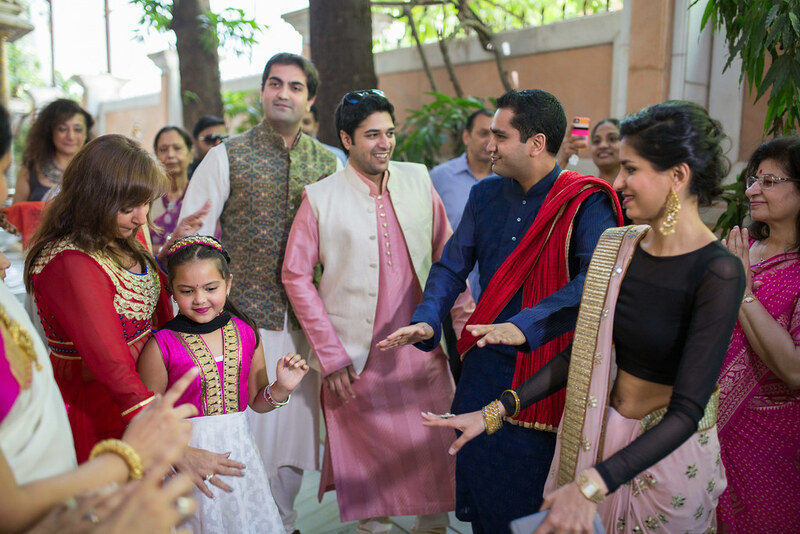 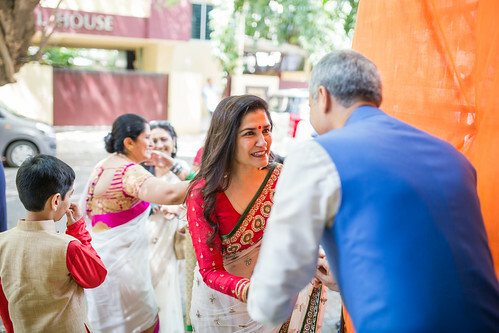 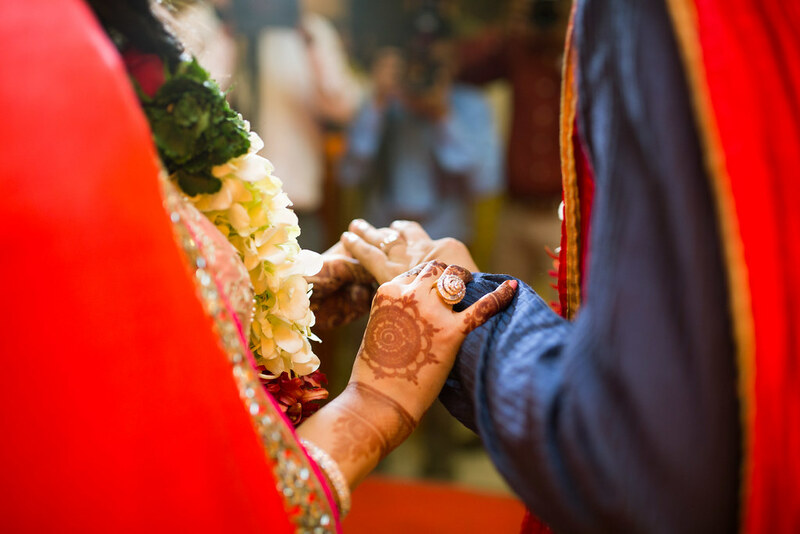 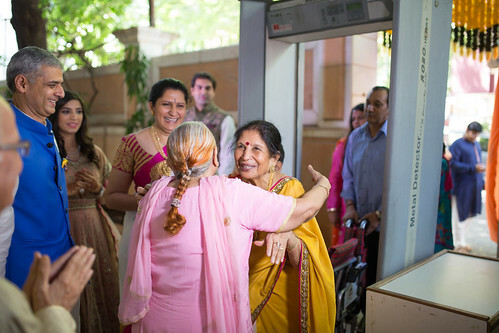 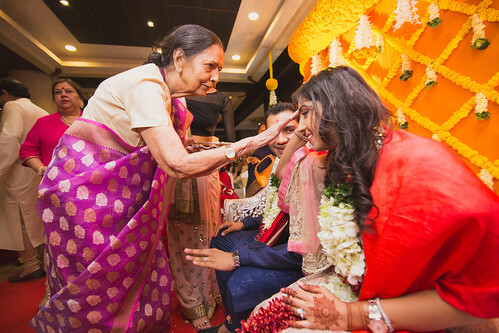 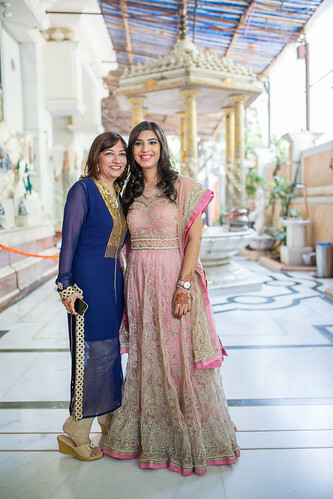 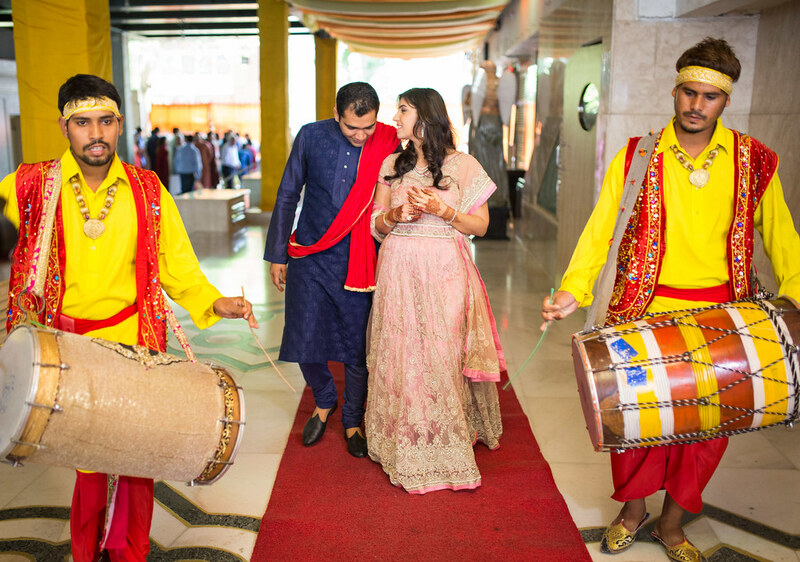 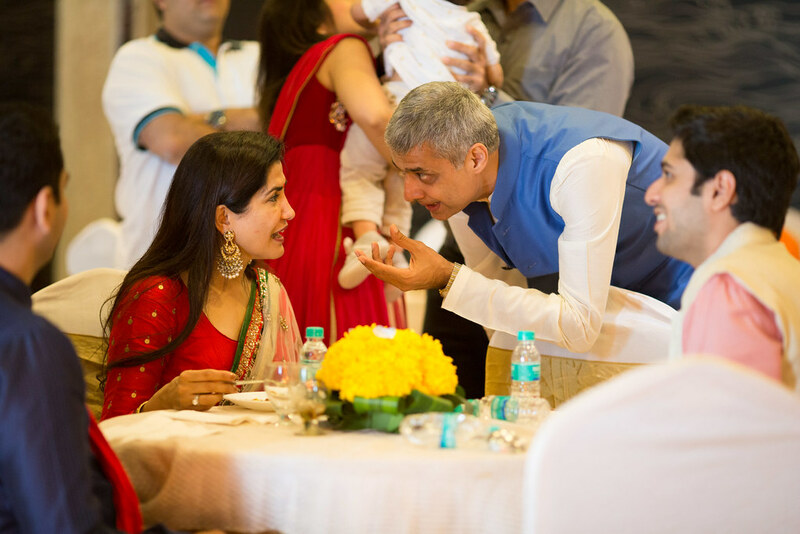 The engagement happened in a Lakshmi Narayan temple in Vile Parle. 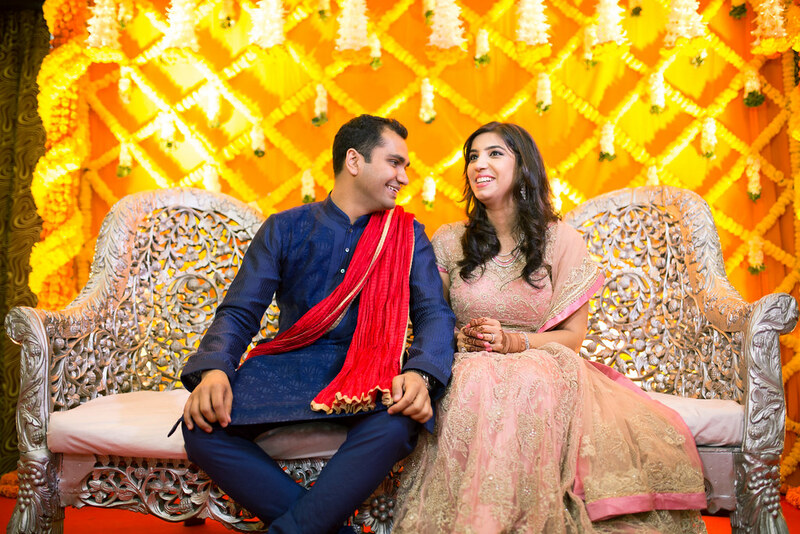 Just like a snapshot from a fairytale, Saahil went down on his keens to propose Shivani. 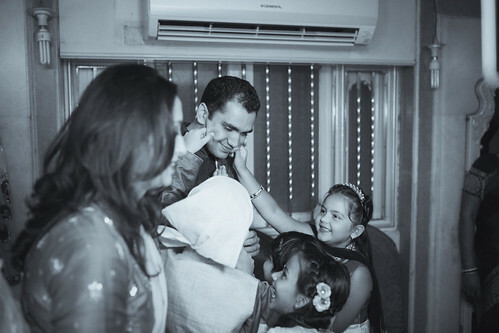 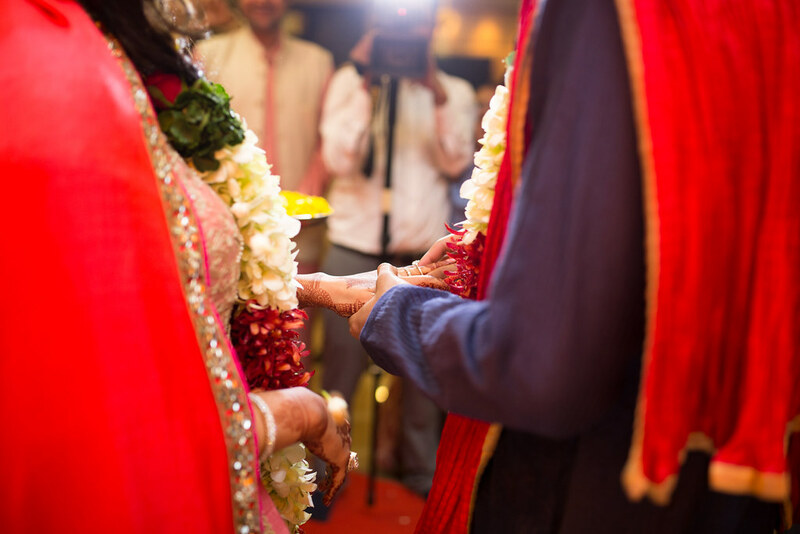 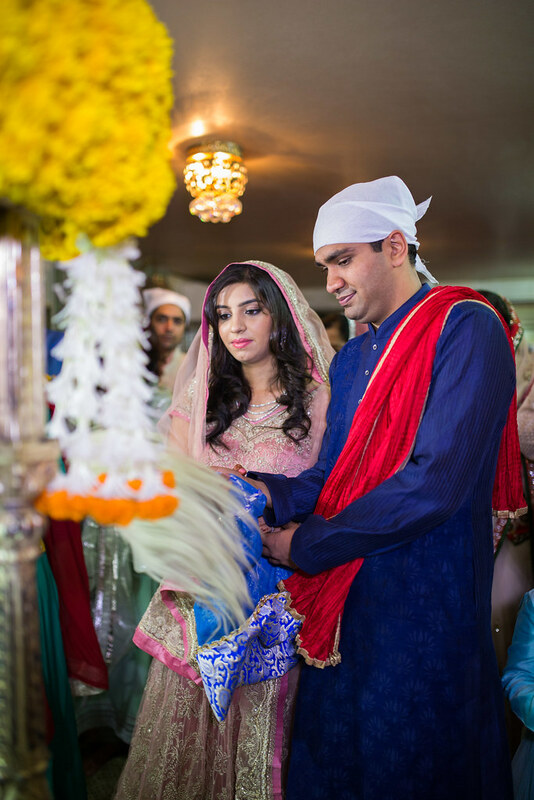 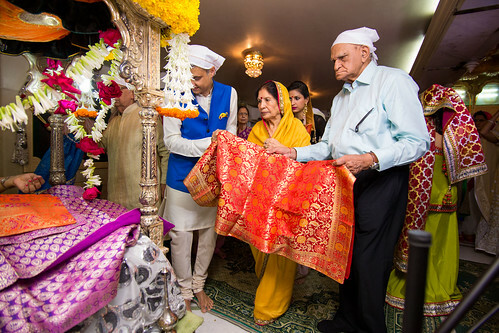 The two began their journey towards a new life with the blessings of their family and friends. 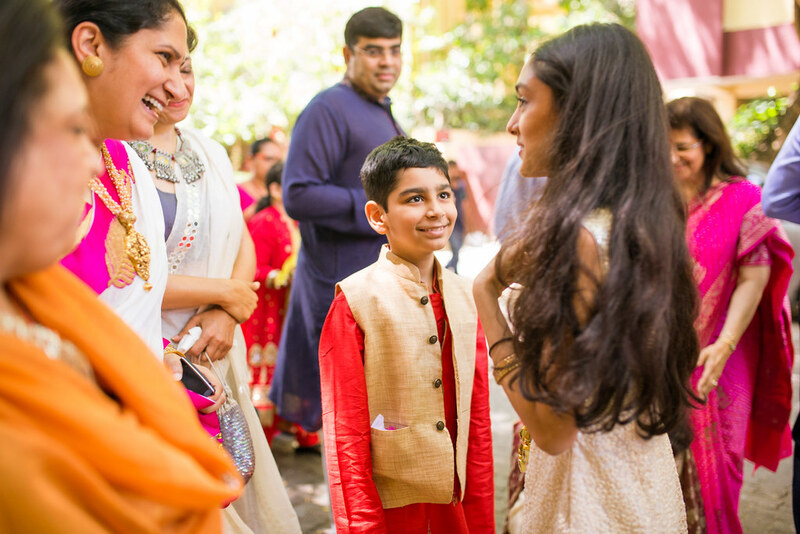 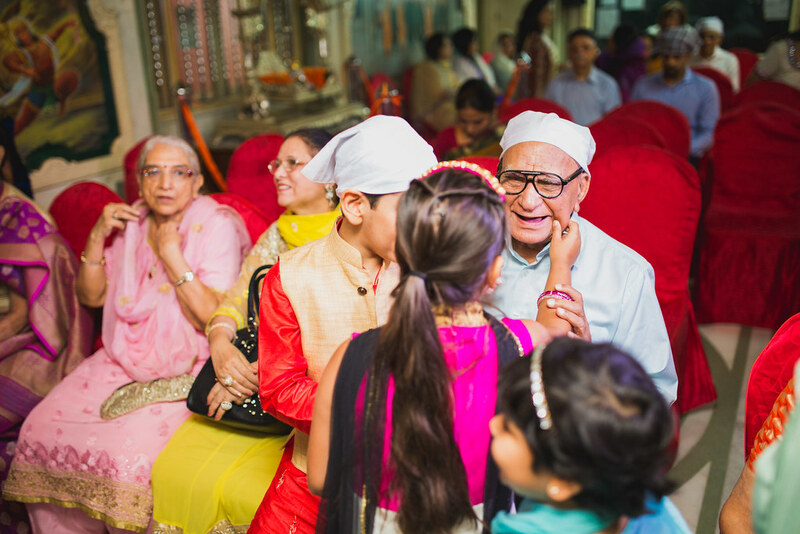 The wide smiles and vibrant joy on everyone’s faces, lit up the engagement day, blessing Saahil and Shivani the best to come!